Lynné Bowman Cravens is a fine art photographer working in an interdisciplinary method. Cravens’ artwork focuses on her experiences of frustration, longing, and denied desires. She works primarily with photography; however utilizes other disciplines to convey her ideas. Through manipulating photographic objects, Cravens turns something that is reproducible into something unique. 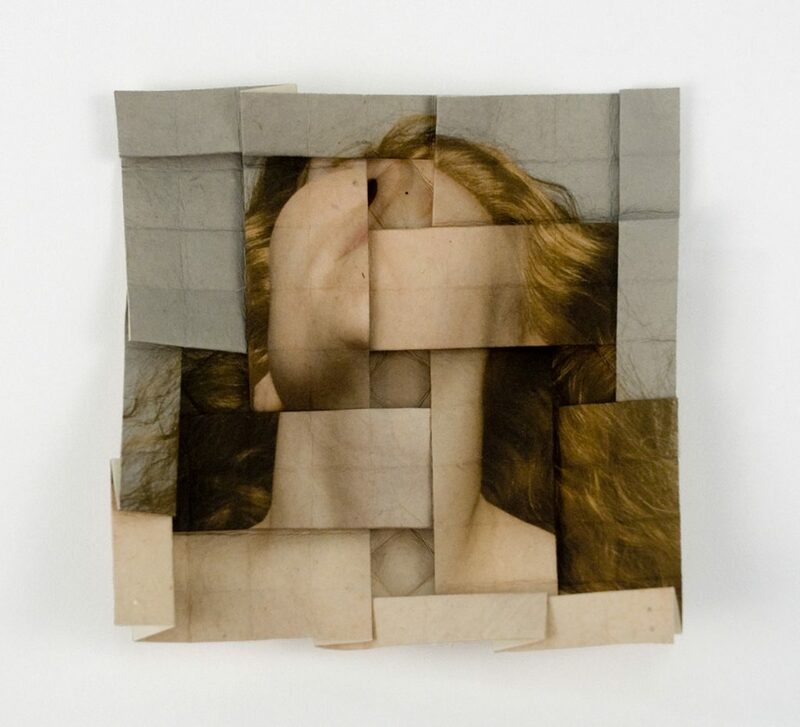 Through these manipulations she creates pieces that interpret her experiences and present them to her viewers. Physicality is a huge part of your practice. What is it that draws you into working with objects such as origami and books? I grew up learning drawing, painting, and sculpture from my mother, who is an accomplished artist. I think the tactile nature of doing these art forms with my hands has remained of interest to me throughout the years. I am definitely drawn to unique objects and am interested in the photographic print as an object itself. The process of physically manipulating a piece and the decision to do so is usually linked with the concepts behind the piece. 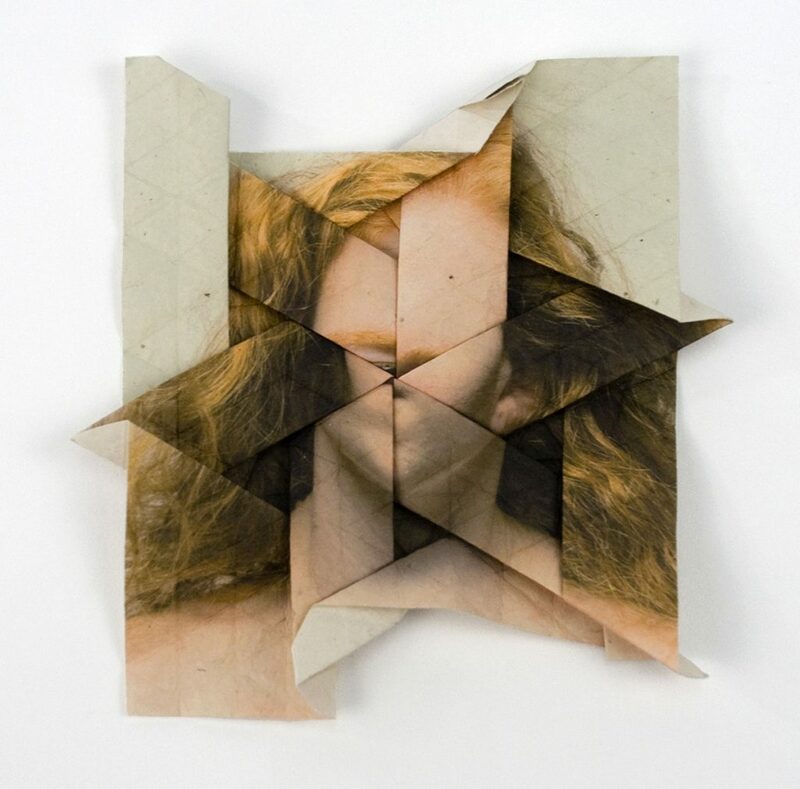 In the series Self-Portrait Origami Tessellations, the photographic prints themselves are folded in order to distort the faces. The folding represents how I resolve the internal conflict of my negative emotions in order to present myself as capable. Physically folding the pieces takes time, which allows for meditation on the work and where it is coming from. How did you first discover origami? I was first introduced to origami in the 5th grade. That year, each grade was assigned a different country and spent the whole year researching the history and culture of that place. Our class had Japan. We learned about the food, history, and arts. I remember making printed curtains for the classroom using tie-dye, fish, and ink. Needless to say I was extremely drawn to learning about origami. We only learned how to make origami paper cranes that year, however I have independently done my own research since then learning more about the history and art of origami. For your origami tessellations you mention, “the act of folding the images of my incensed faces into beautiful paper objects is representative of how I suppress these undesirable emotions behind a persona that is confident and competent.” Is there a therapeutic process that is intrinsically linked to the folding, or is it the final origami piece that becomes transformative in its emotional representation? 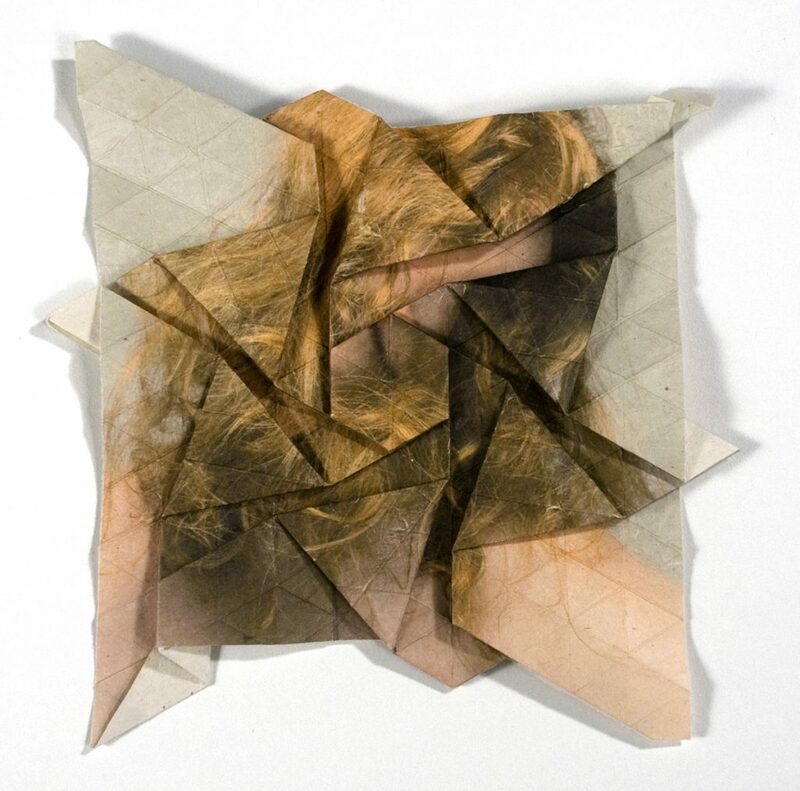 I think that the final pieces in the series Self-Portrait Origami Tessellations are physical representations of how I was feeling at the time. During this time I was struggling with family issues while beginning my time in graduate school. I was torn between the turmoil I felt because of my personal issues and the professionalism I was expected to portray in my new environment. Neither one felt right. The way I was trying to deal with the situation made me feel even less like myself. This series visually represents how I felt during this time. However I do feel that making the work helped me understand how to manage the different aspects of myself better, but it also influenced the current direction of my work. 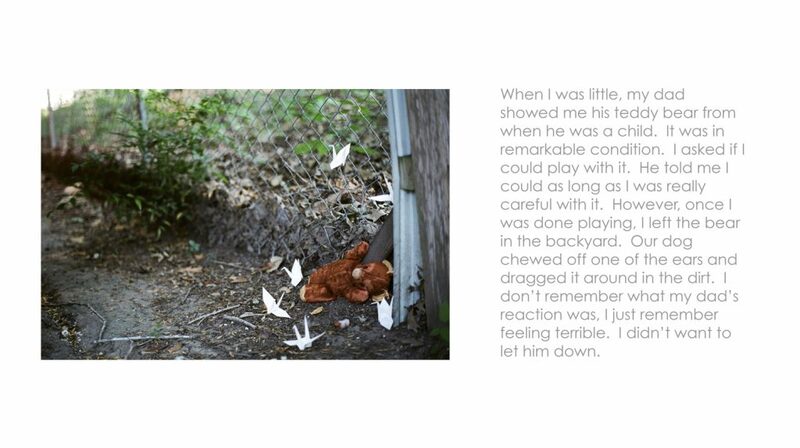 In 1,000 Paper Cranes for Bruce Bowman you explore the relationship with your father and his diagnosis of pancreatic cancer. What role did photography play in coping with this situation, and what do the photographs continue to do since the passing of your father? The process of making this series is very intricate for me, for a number of reasons. I think it begins back with my own cancer diagnosis and treatment in 2005. During my treatment, I felt that my actions contributed to my recovery since it was my body. However after my father’s diagnosis in 2009, I felt that there was nothing I could do. At the time, my work revolved around memory and close relationships. It seemed like the logical conclusion to begin making some work about the situation. 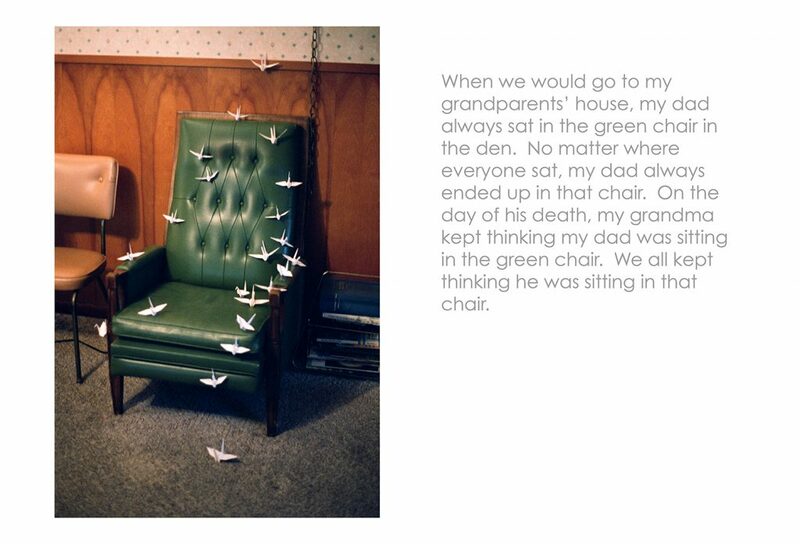 I started by folding the paper cranes and photographing them in our personal spaces. I wasn’t really sure of what I was doing, but doing something made me feel like I was contributing to his experience in a positive way. My father has always been really supportive of my photographic career. He was a hobbyist photographer himself, so it was a good way for us to connect. I felt that continuing to work was the only productive thing I could do. As we got closer to the last days of his life, I couldn’t help but document them. As painful as those memories are, they are important ones. 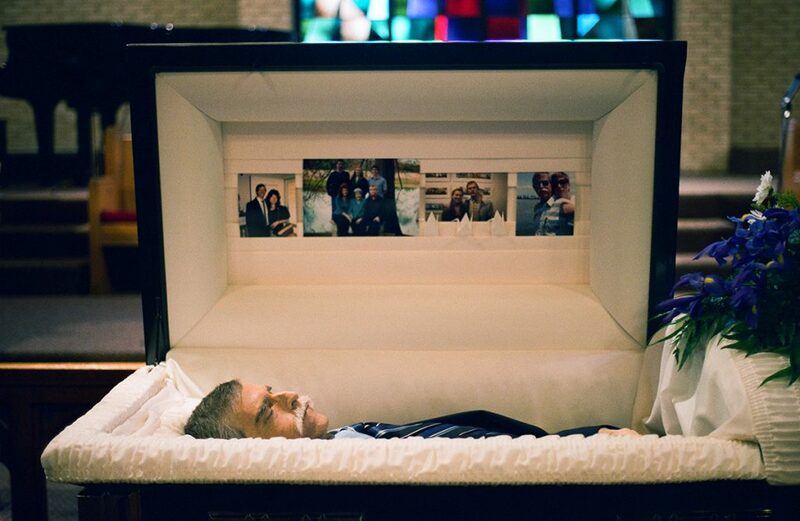 I think the hardest part of this process was photographing during the funeral. I know my father wouldn’t have expected anything less, but I didn’t want it to come across as disrespectful. 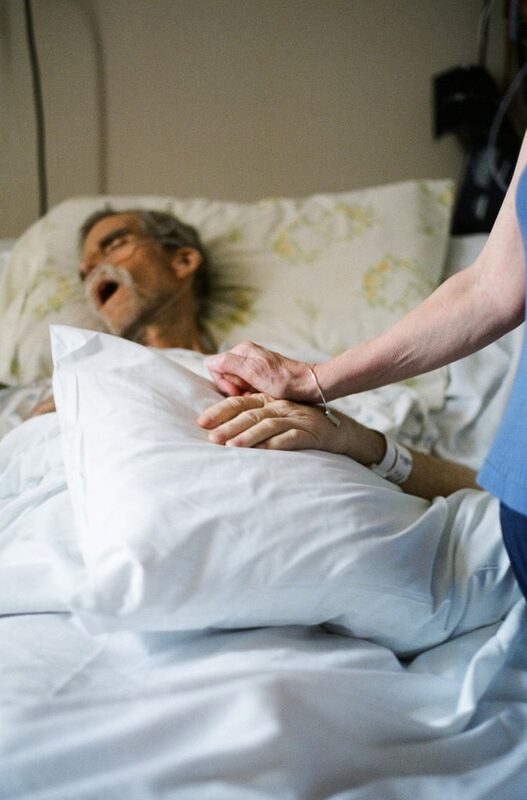 I think photographing during his treatment and funeral was a way for me to internalize what was happening. I continued to work on the series after his death, flushing out the images of the paper cranes. I began to pair journal style text with each of these images to connect a time and memory to the space. The series now helps me to remember not only his death, but also our time before. Is there a specific reason why you choose to often preserve works in books as opposed to collections of prints? For example with Our Worst Years. I am fairly new to the world of handmade artists’ books. They differ from photo books in that they are unique because of being handmade, are often one-of-a-kind or made in small editions, and are not limited to photography. I personally enjoy viewing artists’ books because, as a viewer I am allowed to touch the art. I get to possess the piece while it is in my hands. The relationship between viewer and piece becomes an intimate one. 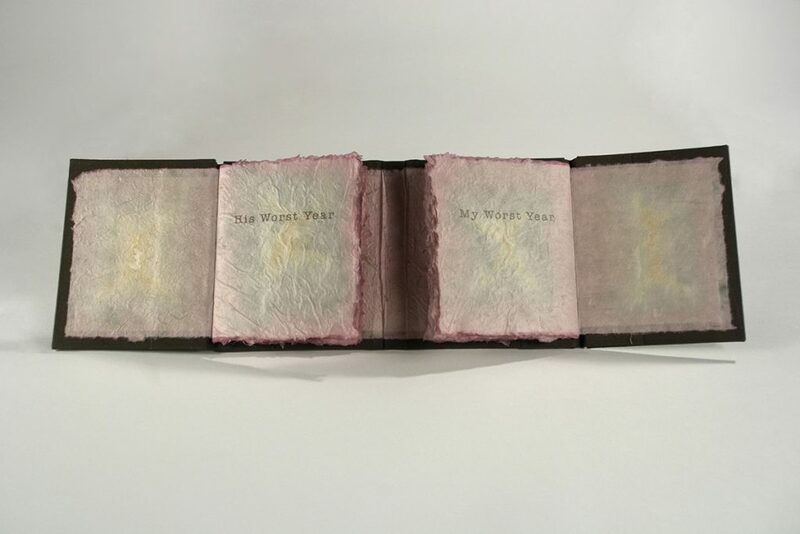 The artist books that I have made will only be shown in their book form. The content was paired with the form of a book for conceptual reasons. In the book Our Worst Years, I utilize the format of the book to tell the story of my cancer treatment and my father’s cancer treatment. I appropriated family photos for this piece. 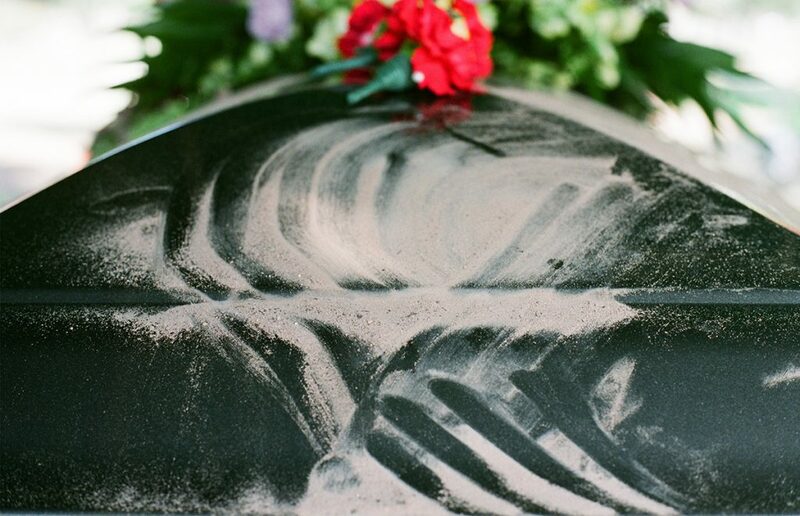 I took very few of the images in the book; many were taken by my mother using disposable cameras. I wanted the images to have a familiar or vernacular feel to them. I also wanted to connect our individual stories through sequence, text, and format. 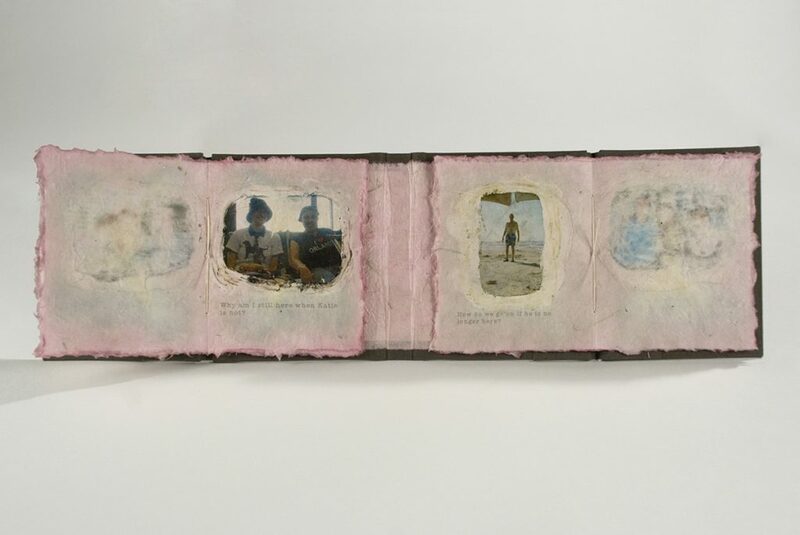 An artist book seemed the most appropriate format based on the form and the intimacy of the subject matter. 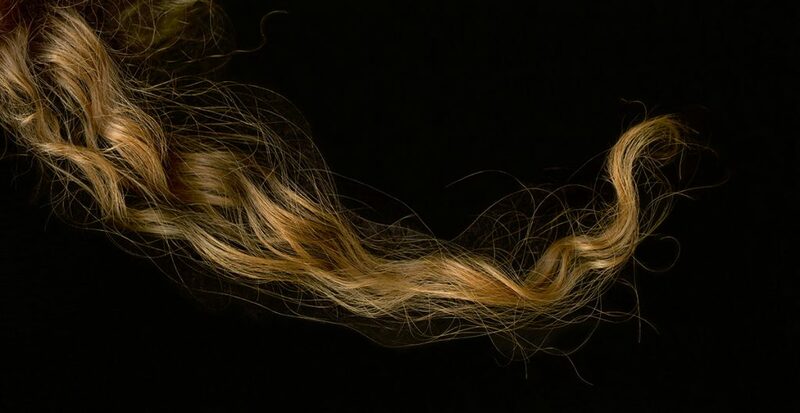 There are some very intriguing photographs of hair and eyes in your MFA exhibition. Could you talk a little about this work and how the exhibition came together? My MFA Exhibition is definitely the most ambitious and involved thing I have ever done. When I began graduate school, I knew I would have to produce a solo exhibition. This was quite terrifying, since I was making relatively small work at the time. I was also unsure of what the show would look like since I began making individual pieces, rather then full photographic series. I eventually began to see links in the pieces I had created, and focused on creating new pieces that would work with the overall theme of the exhibition. I titled the exhibition Vessel. The work in the exhibition is autobiographical in nature. Each piece in the show explores identity through the body. The series Hair and the piece Scrutinize are some of the newer works I made for the exhibition. I used my body in both of these pieces in order to address different aspects of my experiences. For the series Hair, I wanted to make a set of formal studies of my hair. My hair has always been one of my distinct physical features, and I have formulated my personal identity around its unique qualities. 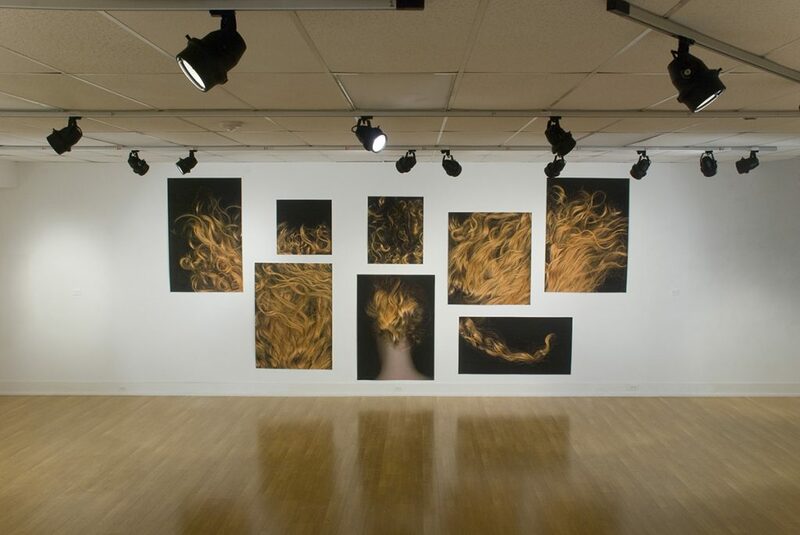 This series was created by placing my hair onto a flatbed scanner in order to capture the details at a high resolution. 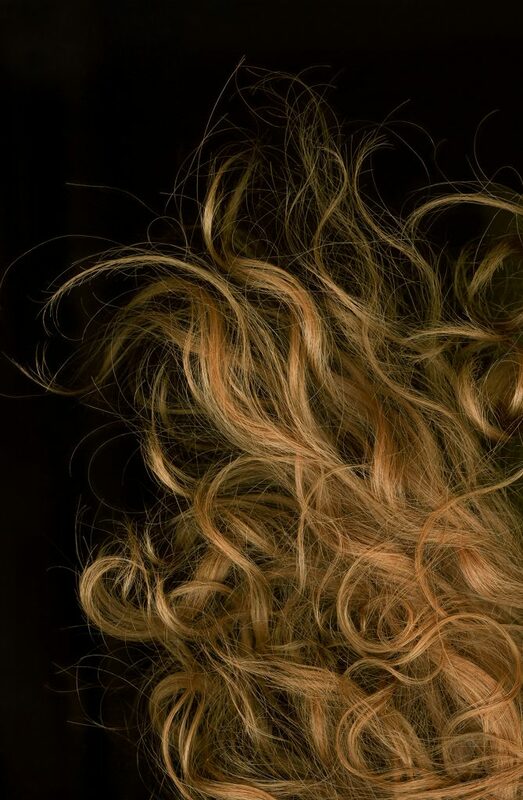 These high-resolution scans enlarge the individual strands of hair, making the details and imperfections more evident. The work shows my acceptance of my hair, but also it’s progression. After loosing my hair during my cancer treatment, I had to rediscover who I was without it. Hair references the time and changes since my cancer treatment, but it also remembers the period of time when I did not have it. It is representative of how much I have grown and changed since that time. Scrutinize was the first new piece I started making for the exhibition, and was the last one I completed. It is definitely the most complicated piece I have made to date. It is a large fabric wall hanging that measures approximately eight feet tall by six feet wide. 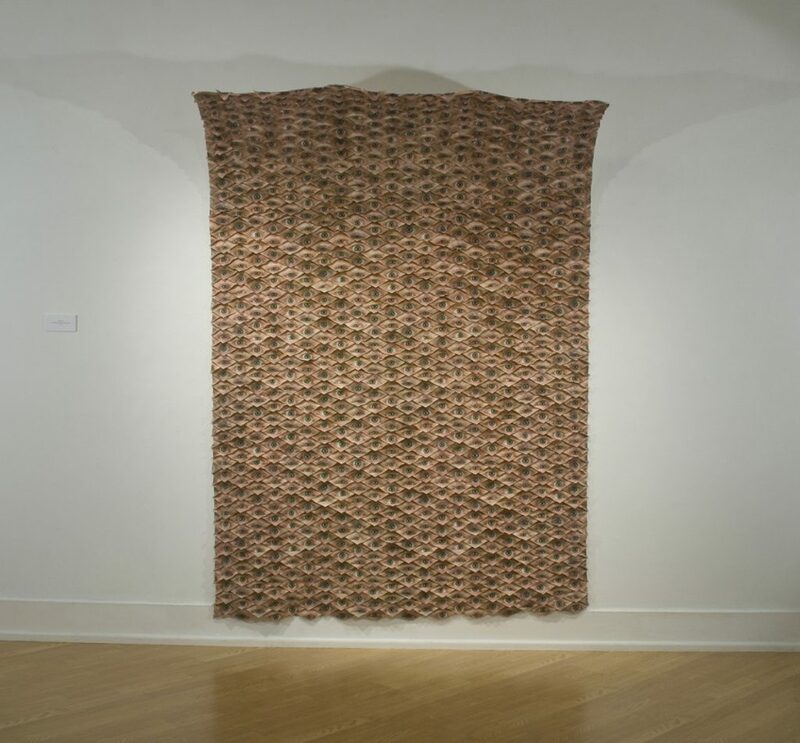 The surface of Scrutinize was created by folding the fabric into an origami pattern, similar to the process seen in the series Self-Portrait Origami Tessellations. 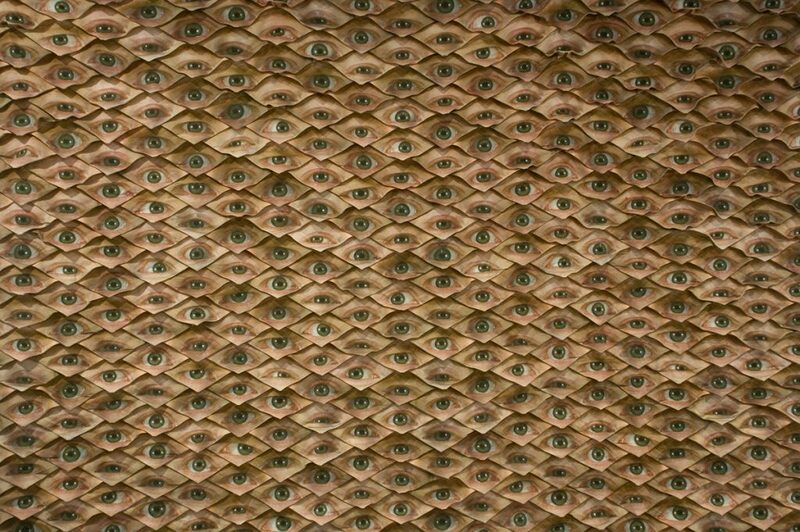 The surface of the piece is covered with thousands of images of my eyes, confronting and staring at the viewer. Scrutinize addresses the anxiety I feel to continually fit into stereotypical female roles. I am constantly confronted by these roles and questioned about how I fit into them. My own feelings make me analyze expectations society has of me, but I also question my reluctance to conform to them. Through the use of my own eyes, I examine my expectations for myself; but also for the women around me. The toughest question of all. My MFA Exhibition was such a large undertaking and encompassed much of the work I started in graduate school, that it has taken me awhile to figure out what I want to work on next. There are some ideas and projects I began and never followed through on that I want to finish exploring. I am also continuing my work with flatbed scanners that I started with my Hair series. I am intrigued by the amount of detail the scanner can capture and the length of time it takes to make a complete scan. I have been playing with this long exposure to create surreal and abstracted images. I am not sure where this work is headed, but I am excited about the potential of the images so far. I am also continuing experimentation with alternative photographic processes. The method of making unique objects from a photographic process interests me and aligns with my methodology. I enjoy finding ways to combine these historic processes with new technologies.